Switzerland has emerged as a leading blockchain and cryptocurrency hub in recent years, thanks to supportive regulations and efforts from the government to make the country a pioneer in fintech. According to Oliver Bussmann, president of the Crypto Valley Association, the Swiss blockchain startup ecosystem has more than 430 startups with labs, incubators and accelerators, among these very successful projects and startups like Ethereum, Lykke and Bancor. 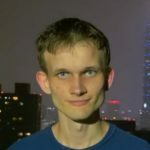 Vitalik Buterin is a co-founder and inventor of Ethereum, described as a “decentralized mining network and software development platform rolled into one” that facilitates the creation of new cryptocurrencies and programs that share a single blockchain. Ethereum, undeniably one of the most successful blockchain projects to date, is developed by a worldwide team of developers for the Ethereum Foundation, a Swiss non-profit organization. Buterin is also the co-founder of Bitcoin Magazine, one of the oldest and most established source of news, information and expert commentary on the cryptocurrency and blockchain industry. Erik Voorhees is the founder and CEO of ShapeShift, an instant cryptocurrency exchange platform which he founded and operated under the alias Beorn Gonthier, until revealing his true involvement with the company as part of a seed funding announcement in March 2015. 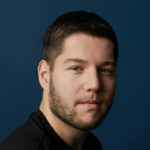 Voorhees is the co-founder of the Coinapult, worked as director of marketing at BitInstant, and was founder and partial owner of the bitcoin gambling website Satoshi Dice (subsequently sold in July 2013 to an undisclosed buyer). He has been a Member of Cryptocurrency Advisory Board at MGT Capital Investments, Inc. since June 14, 2016. Niklas Nikolajsen founded Bitcoin Suisse, a world leading crypto-financial broker and service provider, in mid-2013. Today, he serves as chairman of the board and co-CEO of the company. 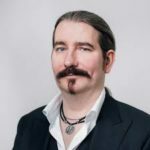 Before Bitcoin Suisse, Niklas had a background of more than 15 years as a professional software architect and software developer, primarily in the financial, manufacturing and public sectors. 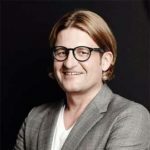 He also co-founded the Digital Finance Compliance Association in 2014 and joined its board, promoted the Zug-based Crypto Valley concept, and worked towards a friendly Swiss regulatory framework for digital finance with the Swiss Financial Market Supervisory Authority. In 2016, 2017 and 2018, he was named a top 100 influential Swiss banker by the Swiss financial times BILANZ. 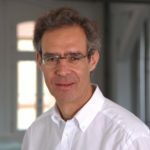 Richard Olsen is the founder and CEO of Lykke, a Swiss fintech company building a global blockchain-powered marketplace. He is also the chairman and CEO of Olsen Ltd, an investment manager, and visiting professor at the Centre for Computational Finance and Economic Agents at the University of Essex. Olsen was co-founder of OANDA, a currency information company and market maker in foreign exchange. Under his stewardship, OANDA launched the first fully automated FX trading platform offering second-by-second interest rate payments. Daniel Gasteiger is an entrepreneur with over 20 years in the financial services industry. Starting out as an FX trader at Credit Suisse, he later joined UBS. 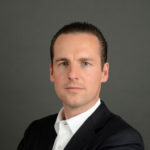 Gasteiger co-founded nexussquared, Switzerland’s first dedicated blockchain business and startup platform, in 2015, and founded Procivis, a blockchain based business delivering secure identity and e-government services, in 2016. He also co-founded Trust Square, which operates Switzerland’s largest blockchain hub located in the Zurich, in March 2018, and his latest venture, called Verum Capital, is a blockchain and ICO advisory boutique in Zurich. Jan Brzezek is the co-founder and CEO of Crypto Finance, a fintech holding company founded in June 2017. The group provides blockchain-related services through its three subsidiaries: Crypto Fund AG (asset management), Crypto Broker AG (trading), and Crypto Storage AG (private key management). 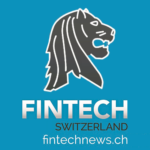 Crypto Finance has offices in Zurich, and is based in Zug in the Crypto Valley. The company aims to facilitate the implementation of blockchain technology into the global economy to solve complex problems encountered by investors and businesses alike. 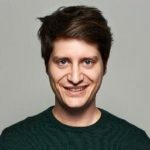 Antoine is co-founder and CEO of BlockFactory, a company delivering advisory and development services in the blockchain space. He is also the co-founder of Proxeus, a set of open source blockchain standards for digitizing, registering, storing and managing assets, dubbed as the “Wordpress for the blockchain,” that raised US$25 million via a token sale in February 2018. 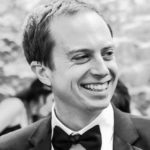 In 2016, he co-founded the Swiss Legaltech Association and the Swiss Legaltech Conference in an effort to bring shape the emerging legaltech scene in Switzerland. In 2010 and in 2013, he was named in the top 100 Swiss personalities by the magazines L’Hebdo and Bilan. 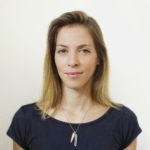 Galia Benartzi is a serial technology entrepreneur and the co-founder of the Bancor Protocol, a standard for the creation of Smart Tokens™, cryptocurrencies with built-in convertibility directly through their smart contracts. The Bprotocol Foundation was established in 2017 in Switzerland to promote the development and adoption of the Bancor Protocol. Prior to Bancor, Benartzi was the CEO of Particle Code (acquired 2011) and one of its founders. Before Particle Code, she co-founded Mytopia, a leading social games business acquired by 888. She later became a venture partner for Founders Fund. Angel Versetti is the co-founder and global CEO of Ambrosus, the blockchain ecosystem that assures quality of products. Prior to Ambrosus, Versetti was the founder of Versetti Ventures a VC Advisory Firm that became one of the pioneers of cryptocurrency investing. His earlier career was at the United Nations, where he led projects and research. He also worked at Bloomberg, World Resources Forum and Google. 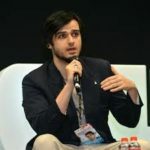 Versetti is a regular speaker on technology, innovation and global development, having spoken at over 100 premier events. 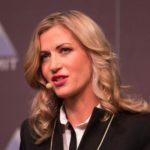 Olga Feldmeier is the founder and CEO of Smart Valor, a Swiss-based blockchain company building a decentralized marketplace for tokenized alternative investments. Feldmeier is an acknowledged entrepreneur, speaker and global influencer, nominated as 100 digital shapers (CH), top 10 female blockchain founders, top 100 power women in fintech (UK), and has been nicknamed the “Bitcoin Queen” by media. She was formerly commercial managing partner at Xapo, and served as executive director at the wealth management division of UBS (Switzerland). 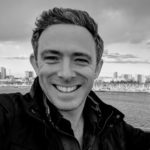 Dominic Williams is the founder, president and chief scientist of Dfinity, a project aimed at creating an advanced blockchain computer network, the “Internet Computer,” with the speed, unbounded capacity and governance systems required to create Cloud 3.0. Dfinity has raised more than US$165 million in funding and is backed by the likes of Polychain and Andreessen Horowitz. Prior to Dfinity, Williams founded an MMO/social network directed at 8-12-year-old boys that grew to almost 3 million user accounts and was the fastest growing kids game in Europe for a while, and created various distributed technologies supporting it.